We make our living installing sound masking systems. Complex or simple, every ADI system is designed by an experienced ADI team member to meet our Client’s needs. With thousands of successful projects behind us, every client benefits from our expertise in sound masking, acoustics and audio technology. As an added value, we also help our clients with recommendations on effective use of acoustical materials to maximize workplace performance. Looking to make your employees more productive and protect sensitive information? Why roll the dice in each new city? As a single point of contact for system design and delivery, ADI has delivered consistent, high quality systems across the country. Standardization on equipment does not guarantee results. Without a single point of contact for all system delivery, quality is a “roll of the dice” in each new city. ADI will work with you to establish a standard sound masking system that can be delivered consistently anywhere in the country. We will coordinate with your project team to provide a seamless installation. 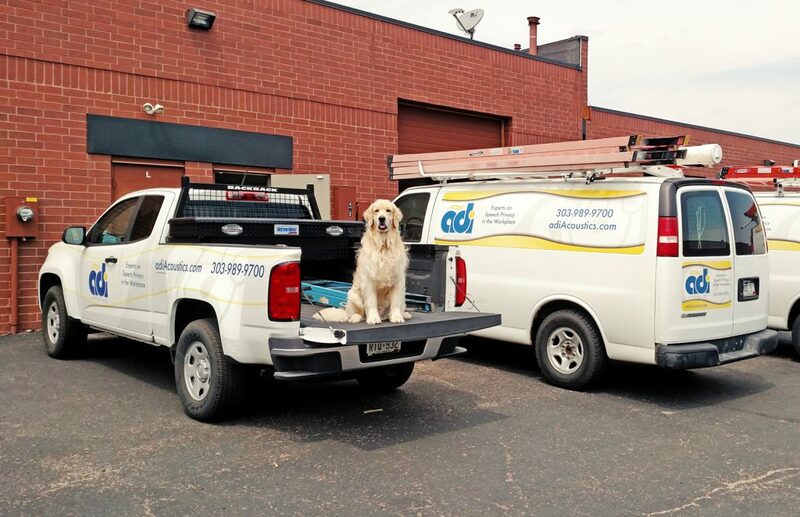 With offices in both Denver and Washington DC, ADI Acoustics helps design, install, and service sound masking solutions around the country. ADI frequently works with clients to establish standards that can be rolled out reliably on a regional or national level.